Able Tree Care is a Bronx tree service company providing tree services in the Bronx for over 50 years! Our tree experts know how to get the job done right the first time; safely, effectively, and to the delight of property owners, affordably. Our Bronx tree company is well known and recognized as a leading Bronx based tree company. We are not a fly-by night crew looking to cut and run. We laid our roots in the communities we serve! We provide complete insurance coverage protection for every job we do As you might imagine, tree service and tree removal can be very dangerous. So dangerous in fact, that the tree service industry occupation fatality rate is actually three times higher than both policemen and firemen. Yet less than 1 out of 9 tree service companies operating in NYC carry both workmen’s compensation and general liability insurance coverage for tree removal and tree service operations. If a tree service worker is severely injured on your job, it can devastate your financial future. 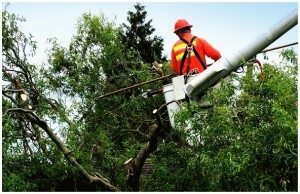 When the tree company doesn’t have proper coverage, an injured tree service worker will likely seek compensation from you. Our tree company is fully licensed and insured, and we own all of our tree machinery. When you are in need of tree services and need the best Bronx tree company, please give us a call. Our wide range of tree services, and our crews are highly skilled in the practice of removing trees while keeping the people, property, and other assets nearby out of harm’s way. We leave your property better than we find it. Expert tree services is what we do best! When you’re looking for a Bronx tree service company or a tree removal company in the Bronx our Bronx tree service company is ready to serve you.When you are in need of the best Bronx tree service company give Able Tree Care a call. As a Fully Licensed and Insured tree services company of top professionals, we proudly offer high quality work, fast turn-around and customer satisfaction guaranteed. We have the skills and experience to do virtually any size tree challenge, no job too big or small! Able Tree Care has been serving the Bronx and surrounding areas for over 30 years! We have been ranked amongst the best Tree Companies in NYC! © 2017 Able Tree Care. All rights reserved.